Whether your software requires a lot of computing resources or you have many platforms, a Dedicated Forex Server keeps things running smoothly and efficiently. Both enterprise-grade server hardware, and enterprise security standards help to ensure the complete security of your hosted data and applications. All hardware resources on your Dedicated Forex Server are allocated to you. You literally have an entire server inside a rack at one of our datacentres allocated for your needs and your needs only. Our networks in Chicago, New York, London, Zurich have been developed specifically to accommodate financial applications, and feature redundant low-latency uplinks to our bandwidth providers. Enjoy ultimate control, speed and unmatched performance. 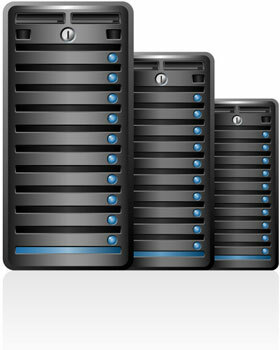 There is absolutely no shared computing or storage resources on our our dedicated servers. Fully customized Dedicated FX Server. Get more RAM and SSD space!